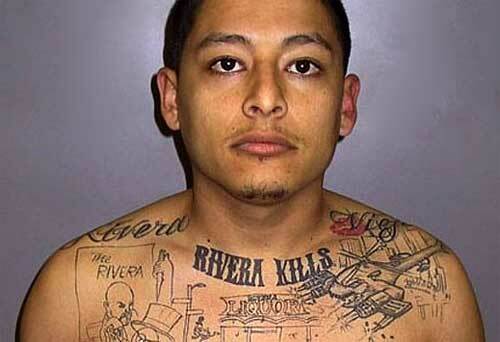 Gang Tattoos are commonly used among the criminals who have gang membership. 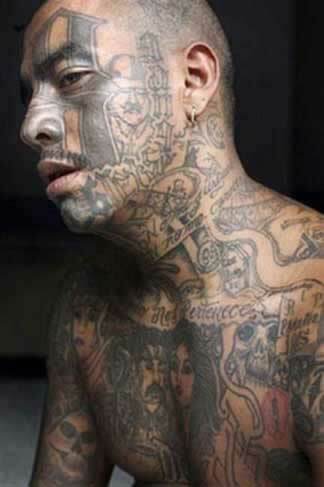 Most of the gangsters use the Gang Tattoos to show their gang records and their gang history. 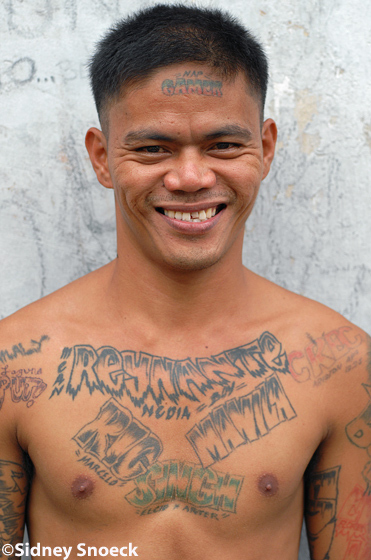 Gang Tattoos are also use to show his or her skills and specializations for the gands and to show what was his or her personal expression. The Gang Tattoos also have the code meaning what their gang is famous for. The ode systems can be quite complex and because of the nature of what they encode, the tattoo designs are not widely recognized. 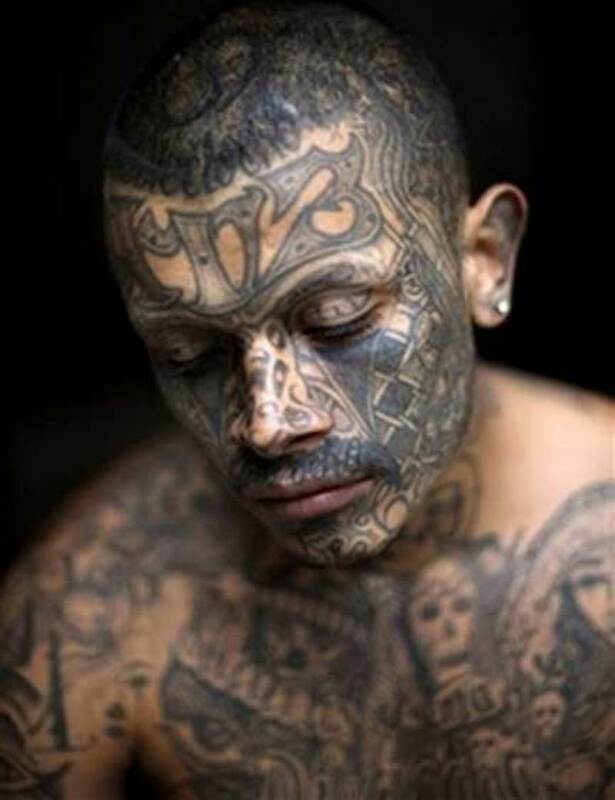 Gang Tattoos also contain the names of relatives or the gang members, the symbol of aggression and the religious imagery. One of the most well-known tattoos is the teardrop tattoo. 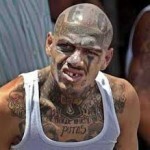 Another common tattoo in American prisons and jails is three or four tattoos which represent that you have earned your keep in your gang. 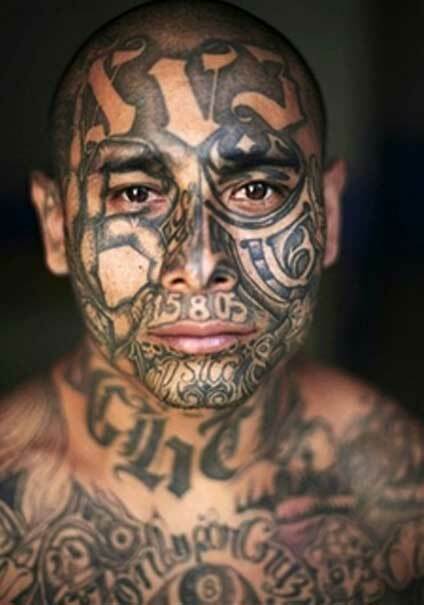 The three dots would represent the 13 of the southern gangs and the same for the northern gangs with four dots for 14. 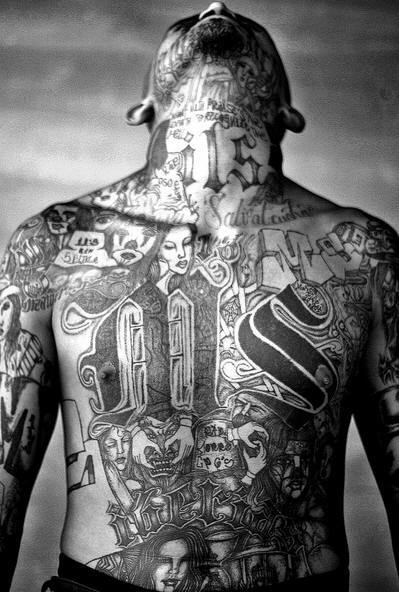 In Russia gang tattoos have a complex system of symbols which can give quite detailed information about the person who has these kind of tattoos. 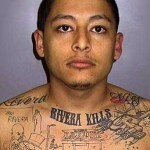 The introduction tattoo of a new gang member is usually placed on the chest and may incorporate a rose. 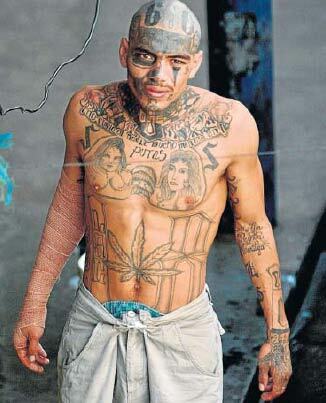 The rose tattoo is most commonly used amoung the Russian gangsters. 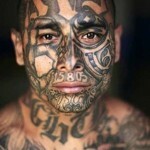 Gang tattoos can be removed in the case of loss of rank, new affiliation and change in life style. A stick figure holding a weapon is also a common gang tattoo. what does the long triangular one underneath peoples eyes mean??? ?